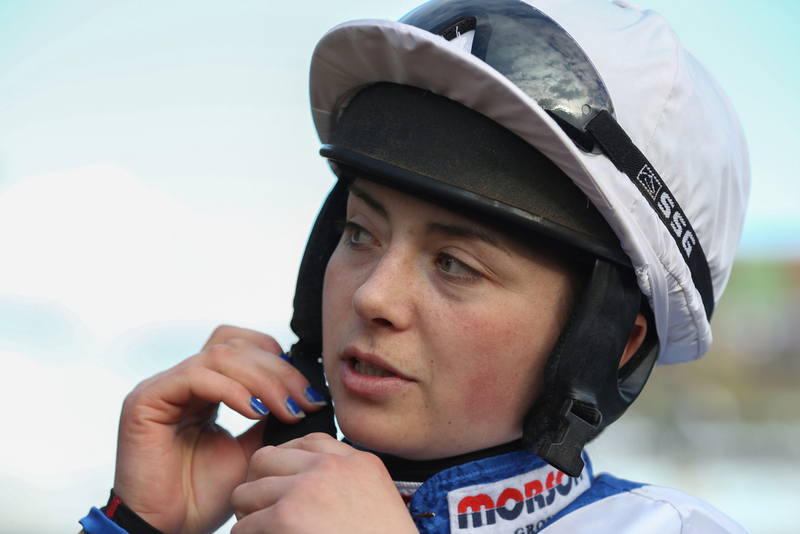 Leading female jockey Bryony Frost is currently on the sidelines after a suffering a fractured collarbone after a heavy fall at Southwell when coming down on board the Caroline Fryer trained Midnight Bliss earlier this month. However, the rider looks to be on track to be back before the end of the season and try and see out the Stobart Conditional Jockeys’ Championship. Frost is currently sitting top of the leaderboard with 49 winners but is itching to get back in the saddle to be able to land the esteemed title but will not do so until being 100 percent fit. The 23 year old has undergone continued rehabilitation in Lambourn at Oakley House and the Grade 1 winning jockey at this year's Cheltenham festival, has another scan set for April 3rd and that will then tell her more on how long she will be out for. (Credit At The Races) Frost said: “I’ve got my next scan with my specialist on April 3. If that is a positive outcome I will start building it back up and try to get the strength into it to make sure I come back 110 per cent and stronger than before. “If it all goes well on April 3 I would hope to be back by the end of the season and hopefully I can make up for lost time and hopefully that conditional title will be within our reach. 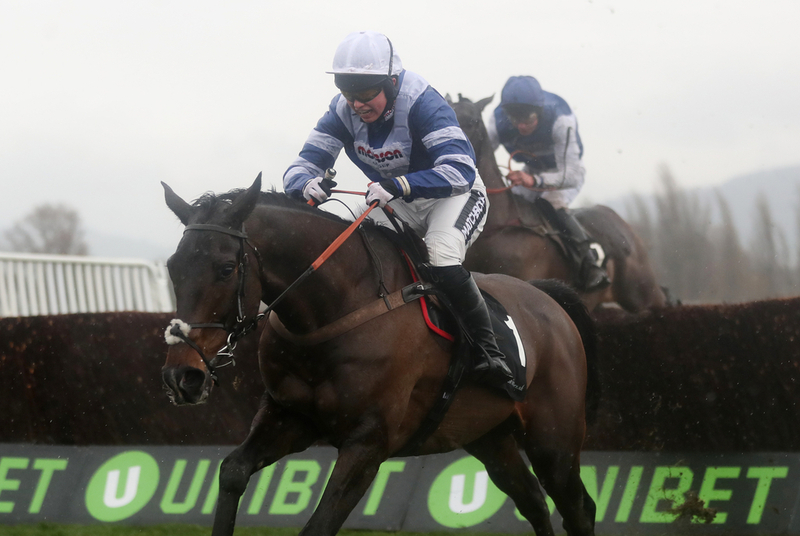 The jockeys win on Frodon at the festival at Prestbury Park was one of the highlights and fairytale stories of the week with her becoming the first female rider to win a Grade 1 at Cheltenham over fences in the history of the sport. Frost feels that it would be one of her greatest moments in her career if not the best moment if securing the Conditional Championship, she will be following in the footsteps of some of the greatest jockeys to grace the sport like A P McCoy and current Champion jockey Richard Johnson. (Credit At The Races) She added: “It would be a really cool thing to achieve, not just for me but for all trainers that have supported me and the horses I’ve ridden through the whole season. For me, it’s our title, not mine. “I could not do this without my horses, and I would not have my horses without the trainers like Paul Nicholls, Neil King and dad (Jimmy Frost) supporting me and the owners behind me. The 23 year old female rider already suffered a horrific injury at the start of the jumps season in July taking a horrible fall at Newton Abbott. Now she is just one winner from that elusive 50 for the season and with the amount of time she has out of the sport this season it would be a remarkable achievement for the rider. She added: “To have as much time off as I did earlier in the season and still to manage to ride 50 winners would be great. “It makes me proud of the horses and how they have run this season.